Everyone's favorite story on the shore is located in downtown Grand Marais, MN! 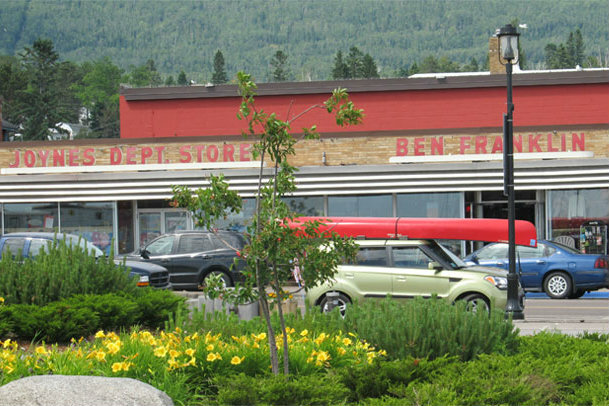 Joynes Department Store & Ben Franklin has a vaiety of clothing, footwear, camping supplies, housewares, books, souvenirs, gifts, hardware, toys, crafts and more. Some of the brands we carry include Carhartt, frogg toggs, Pendleton, Woolrich, UGG, Baffin, Clarks, Merrell, Minnetonka and Keds. Contact us for more details.